The questions used in this book have been developed and continuously updated over 15 years. 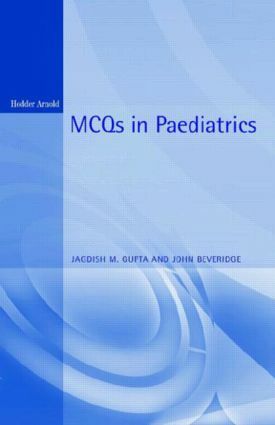 'MCQs in Paediatrics' includes questions and detailed answers submitted by paediatricians in all specialties, and covers the widest range of clinical skills and paediatric knowledge. The questions have been used in both undergraduate and postgraduate examinations at the DCH and MRCP level. All questions have been reviewed and refined following the analysis of examination results, and are designed to test the application of knowledge rather than just the facts. The answers are accompanied by detailed explanations which allow the book to be used both for self-assessment and as a guide for further study.